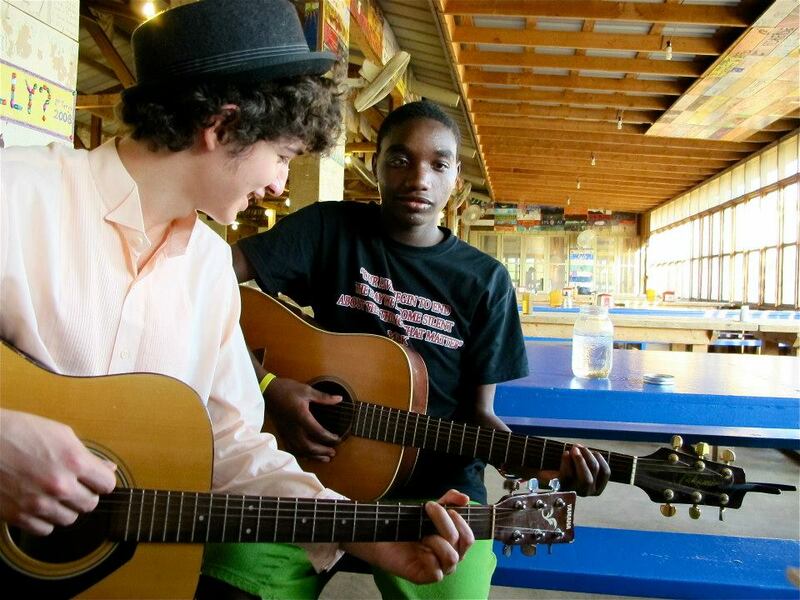 It’s not too late to find a great summer camp! I know. Your über-organized friends have had their kids’ summers mapped out since February, while you’ve been focused on a jillion other things. Now school’s almost out and you’re coming up for air, wondering if you’ve waited too long to get your kids into any decent summer programs. It’s going to be okay. Better than okay, in fact! I’m here to reassure you that there are still spots open at many of Austin’s best-run, most creative and fun-filled camps. 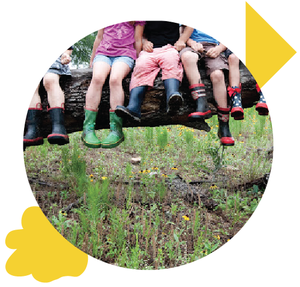 The Alt Ed Austin summer camp directory is a hand-picked list of smaller (and often more affordable) programs run by some of the best educators and kid wranglers around. It has something for everyone: from preschoolers to older teens, from the bookish to outdoorsy, from technophiles to free-spirited artists to eco-activists. So head on over to our alternative camp directory and snap up some of those open spots for your kids. Then breathe. And breathe some more. It’s going to be a good summer. Alt Ed Austin’s theme for the year 2013 is Fresh. Inspired by the continuous flow of fresh ideas from Austin’s alternative educators, as well as the bountiful fresh food grown and enjoyed at so many of the schools, preschools, camps, and enrichment programs featured on this site, I’ve spent much of January freshening up around here, too. See the new logo? Alt Ed Austin managed to operate for more than a year with only a name, but all along, I was mulling over potential graphic representations, unable to settle on a basic form that felt right. With the new year, I resolved to turn over a new leaf—so to speak—and get some professional help. My multitalented friend Marla Camp, a graphic artist and the publisher of Edible Austin, worked with me to create a logo that conveys, I believe, the spirit and state of transformative education in our community: fresh, organic, “green” in the best sense of the word, and full of possibility. Thank you, Marla! When a special version of the new logo took its rightful place in the website banner, it demanded changes in the site’s color scheme, fonts, and so on. As in a home renovation, one thing led to another, and I ultimately redesigned Alt Ed Austin from top to bottom with a new template and a brighter, cleaner look. Many thanks to Sam Hollon for assistance with some of the trickier graphic aspects. I also did a bit of reorganizing for more intuitive navigation from the menu along the top. Please feel free to explore Alt Ed Austin 2.0 and contact me if you encounter any glitches or broken links. I welcome all feedback. While you’re exploring, you may notice that our summer camp directory is back. It’s that time of year again (already! ), and while some uber-on-the-ball families have begun signing up for their favorites, many camp directors are still working to finalize details. The current list is a short one, but I’ll be updating the page frequently as new and interesting camp announcements continue to roll in. If you don’t find what you’re looking for right away, check back every few days. What else would you like to see included on the site or addressed on the blog? Are there programs that meet the Alt Ed Austin criteria but are not yet listed? Is there an educational model you’d like to read about in depth? Do you know someone who should contribute a guest post that all the world needs to read? Are you that someone? Let me know, either below in a comment or privately—and thanks for helping me keep it fresh! When I began compiling a list of cool summer camps offered by the Alt Ed Austin community of schools and related organizations, I figured I’d find a goodly handful—enough to warrant a blog post of their own, much like the one I published a couple of weeks ago on Spring Break camps. Boy, was that an underestimate! It turns out there’s such an abundance that I’ve felt the need to add a new web page to hold them all. Indeed, I've been driven to the thesaurus to find adequate words to express the diversity, creativity, and sheer wonderfulness of these offerings: A plethora of programs? A cornucopia of camps? While working on this directory I’ve found myself wishing I could sign myself up for multiple camps every week throughout the summer. If I could take a sabbatical from work and get the camps’ age limits lifted a bit (OK, a lot), I’d learn all kinds of new skillls, build dazzling structures, explore Austin on foot and by public transit, care for farm animals and crops, participate in democratic processes through Robert’s Rules of Order, experience a rite of passage, get up-close and personal with molds and fungus, immerse myself in Elizabethan-era theater, use power tools, practice permaculture, observe the heavens through fancy telescopes, make messy art, bust myths, and, above all, PLAY! Despite their diversity of themes and formats, these off-the-beaten-track camps do have a few things in common. They are small, and thus more personal and less overwhelming for some kids than standard-issue programs can often be. They are affordable; most are considerably less expensive than the average summer camp in Austin. And all are facilitated by adults who have the utmost integrity, deeply respect children’s individuality, and really know how to have fun. 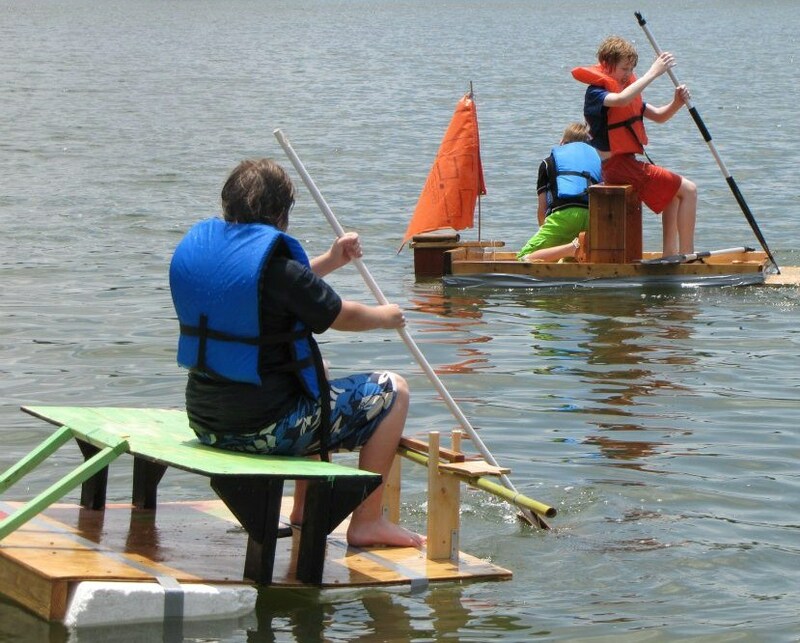 If you’re still working out a summer plan with your kids, check out these camps. And if your kids are all set, but, like this blogger, you like to dream of well-spent youthful summers, leave a comment here telling me which camps you’d choose for yourself. Spring Break in Austin is just around the corner, and I’ll bet many of you are still hoping to find something a little different for your kids that week. The good news is that you need look no farther than the Alt Ed Austin community to find fun, unique, even life-changing camps for the week of March 12–16. Here are three. Austin Tinkering School: Working Big! 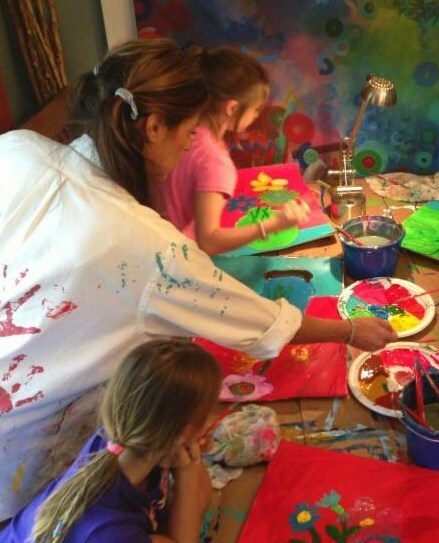 A spring break art camp inspired by the book Working Big, by John Lidstone. One full week of exploring art in a big way: Big materials, Big spaces, Big movement, and Big ideas! Eco Friends’ journey will begin on the Rio Grande, learning about the Chihuahuan Desert, and continue on to the Sahara, Gobi, and Patagonian deserts. Unique desert wildlife will be highlighted, and campers will compare cool coastal, subtropical, and cold winter deserts. The week will culminate with a diorama project depicting the desert of each child's choice. 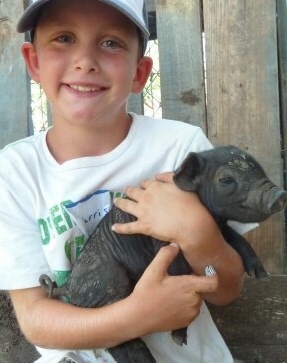 At Green Gate Farms’ weeklong camp, children learn firsthand where their food comes from. Activities include planting and harvesting, taking care of animals, presentations from area experts, cooking classes, swap blanket, soccer and air hockey, and free time to relax and enjoy the farm. Watch your child gain an independence and confidence you didn’t think possible. Campers choose their destinations, map their routes, and then go to town—literally—every single day, using public transportation. Coming soon: Summer camps, Alt•Ed Austin style!